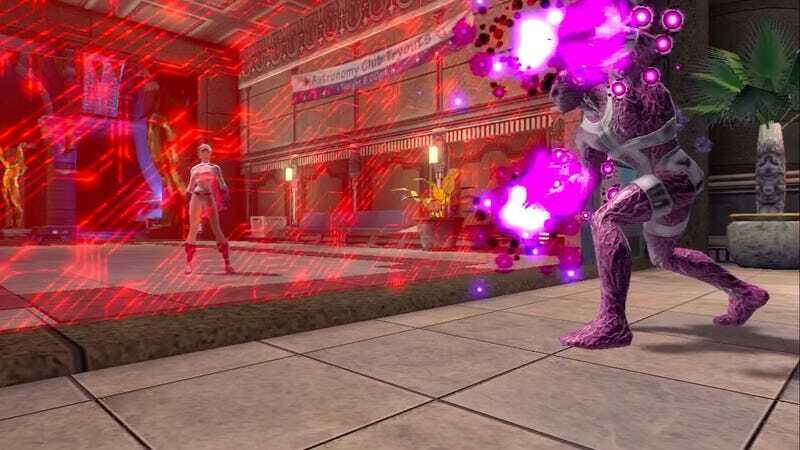 D.C. Universe Online has launched something called the "DCUO Marketplace," and while its shelves are pretty bare, what it could portend down the line is worth paying attention, if not cash. Currently all you can buy are "Proto Repair-Bots" (tune your gear without visiting a tech in HQ) and extra Vault Tickets. Given that you usually leave the Vault with $13 and a bunch of crap, there's little reason to visit this Marketplace now. A microtransaction basis for an MMO is, naturally, the way to take that thing to free-to-play. No one's saying that will happen with DCUO, which released in January, but hey, it's already there.